Deep in the Himalayan mountains is a remote region known as Ladakh. Here the people are shaped by nature at its purest. The land is untamed by man-made concrete jungles, the winds blow strong and the rivers as wild as they come. Furthermore, the power of the elements is instantly noticeable by all who venture here. Some would say, the people who live here are bold, daring, humble and kind. These character traits instilled over thousands of years by this harsh land and its extreme remoteness. Naturally, in this far-flung world, you could imagine a society clinging to its very existence. 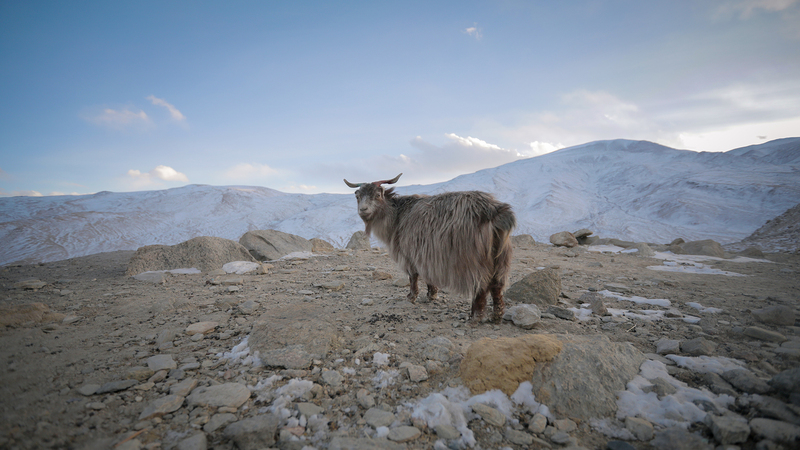 Thomas Morf, the Favre-Leuba CEO, recently visited Ladakh and experienced something extraordinary. He discovered an enduring culture, facing the challenges of life in this region head-on. 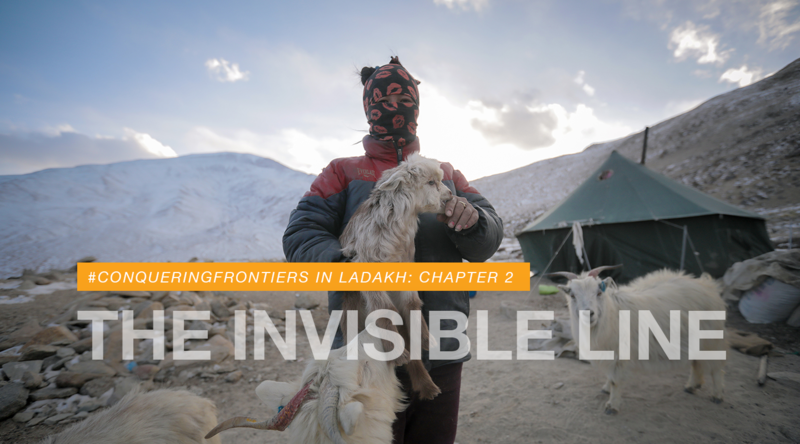 In a four-part series Thomas from Favre-Leuba and the team from Nirvana Nomads explore the culture, people and life in Ladakh. Their journey begins in one of the most remote regions of Ladakh in a small lesser-known location named Puga. As you follow a road that curves through mountain after mountain in the outer reaches of Ladakh, you get a sense that you are heading towards the edge of the world. This region would put our Favre-Leuba Bivouac 9000 through constant rugged challenges, that only the most reliable instrument watches would face-up to. We entered a place where the harshest of natural environments exist and extreme dangers are ever present. 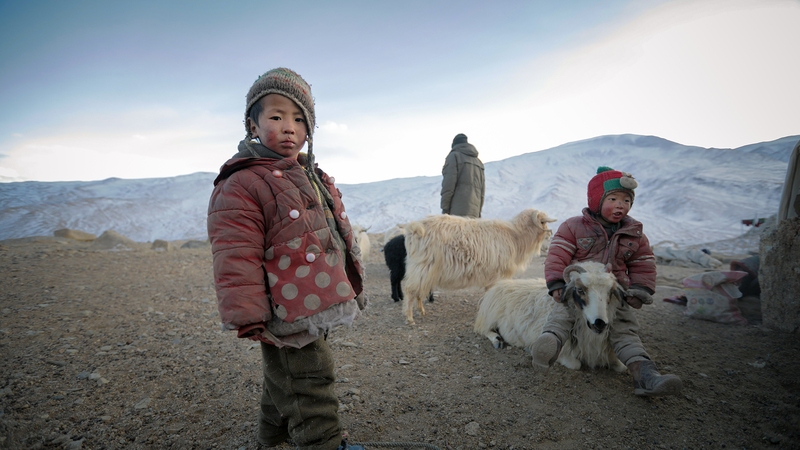 It is here that we met the Changpa nomads, where our road ends is where their road begins. We glanced at the Bivouac altimeter watch and noted an altitude reading of 4300 meters. Now high up in the Himalayas, Diskit, from the small town of Puga warmly greets us. 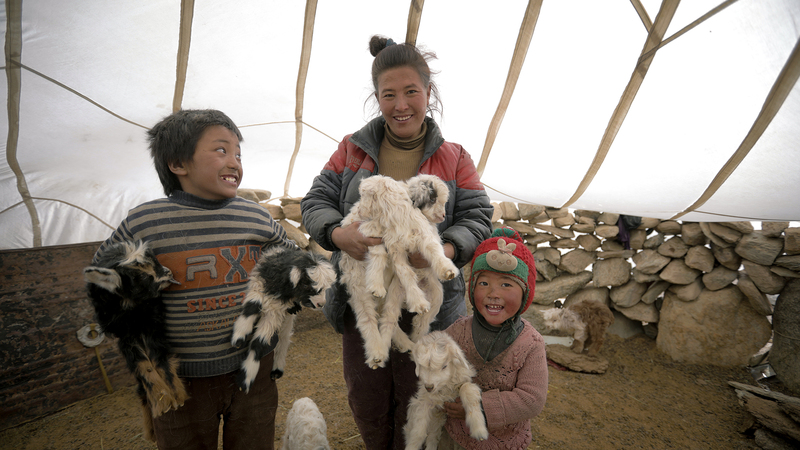 She is an incredibly caring woman, devoted to raising her son, the ‘Little Changpa’ and the newborn sheep and goats. Meanwhile, we could see the ‘Big Changpa’ in the distance grazing a herd of cattle in the valley. At this moment the winds were so strong, when we spoke we could hardly be heard. Diskit smiled, and kindly gestured for us to follow her into the tent. As we entered the tent through a small door the warmth of the simmering stove was a welcome feeling. It offered an immediate respite from the relentless wind that battered everything in sight. Then Diskit asked us to sit whilst she brewed some tea and hummed a song of her own making. Afterward, she went about her tasks, feeding her son, and then the goats and sheep. All whilst enquiring after our well-being. Her boundless energy surprised us, in spite of being in a place that drained you with every step you took. Over the years Favre-Leuba has been the Swiss watchmaker of choice for those who conquer frontiers. Crafting instrument timepieces supporting explorers diving in the great oceans or scaling the world’s largest mountain. However, challenging frontiers can come in many forms and Changpa understands this only too well. 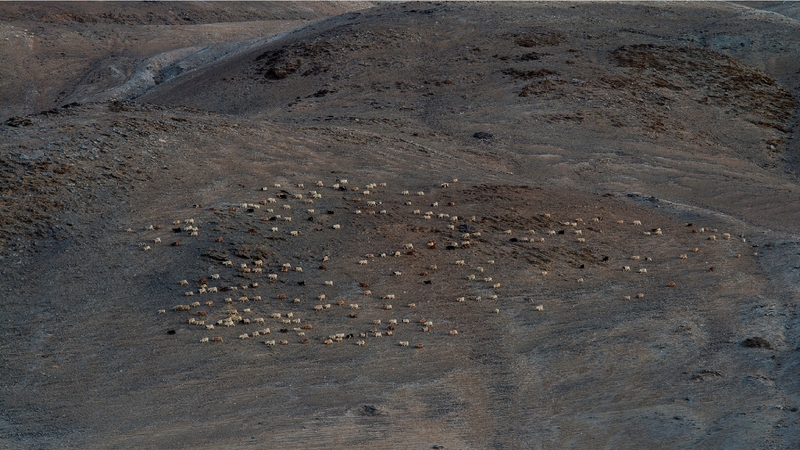 They call home to a region sparse of fresh water and enveloped in harsh cold winter temperatures. All the while their cattle are under constant threat from attack by wolves. And yet the one frontier that pushes them back the most is the one that we hear rattling on the thick cloth walls of the tent. It is the wind that batters them endlessly. We find the only respite they get from the wind is when they step into this tent. If they take one step outside, they are engulfed in this frontier again. An invisible line they call it. There’s no escaping it. The only option they have is to conquer it. 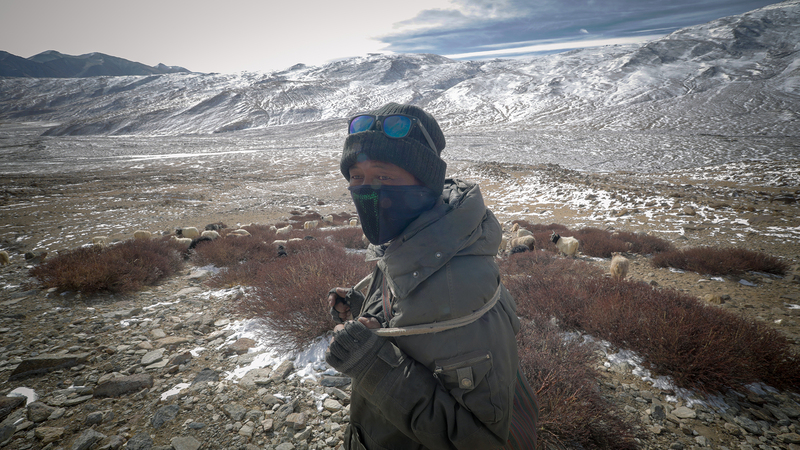 The Big Changpa uses a stone-throwing whip to protect him and his stock from the local wolves. Whilst Diskit bravely endures the biting wind to gather water from the distant glacier. Together they face the elements to protect their precious sheep and goats. These animals are their livelihood. During the winter, the sheep grow thick coats of wool and when shaved this wool becomes the raw material for the most famous cloth in the world, Pashmina. As the winter becomes harsher, the wool grows thicker. 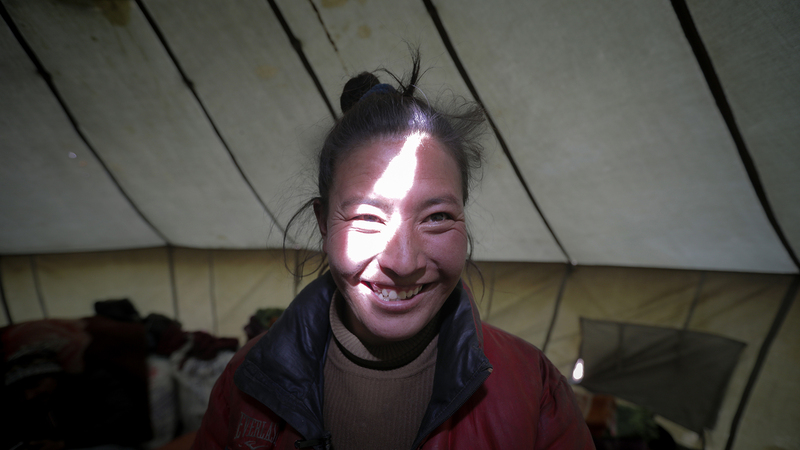 Despite facing tremendous odds to survive through each winter, the Changpa hope for colder conditions still. It is known that with increasingly severe winters comes better quality wool. We dare not to even wonder how a harsher winter may feel. Our experience with the Changpa people has been inspiring. Diskit sings her song and tends to her sheep, seemingly embracing every frontier and conquering it with grace. In the distance, Big Changpa shares a cup of tea with a fellow nomad. They generously share whatever they have with each other, often indulging in a laughter that echoes through these plains. As the Favre-Leuba Bivouac 9000 commences to track our descent down to lower levels in the Himalayas we begin to absorb the experience we have just had. 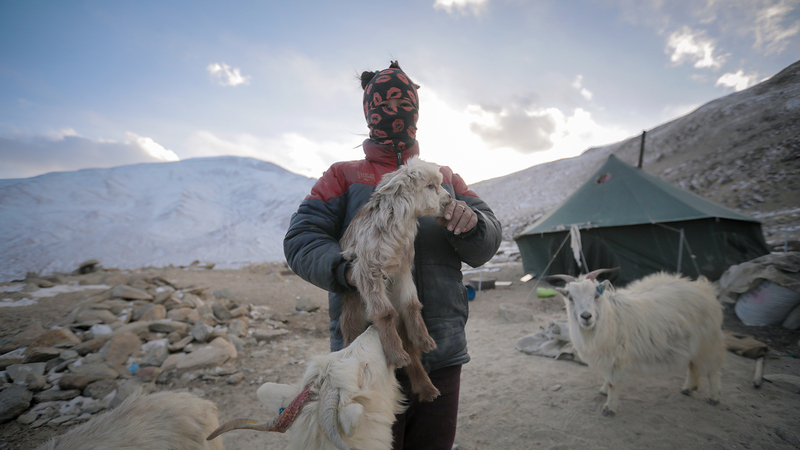 There is a feeling that the warmth of the Changpa nomads is translated into the Pashmina that has traveled the ancient Silk Road for thousands of years. Our encounter in Puga was evidence of just that.